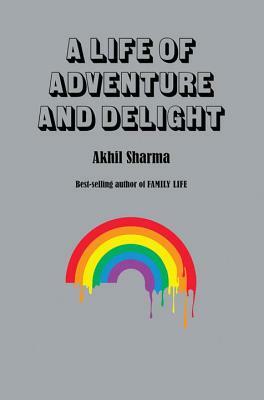 Hailed as a storyteller whose fiction is "a glowing work of art" (Wall Street Journal), Akhil Sharma is possessed of a narrative voice "as hypnotic as those found in the pages of Dostoyevsky" (The Nation). In A Life of Adventure and Delight, Sharma delivers eight masterful stories that focus on Indian protagonists at home and abroad and that plunge the reader into the unpredictable workings of the human heart. A young woman in an arranged marriage awakens one day surprised to find herself in love with her husband. A retired divorc tries to become the perfect partner by reading women's magazines. A man's longstanding contempt for his cousin suddenly shifts inward when he witnesses his cousin caring for a sick woman. Tender and darkly comic, the protagonists in A Life of Adventure and Delight deceive themselves and engage in odd behaviors as they navigate how to be good, how to make meaningful relationships, and the strengths and pitfalls of self-interest. Elegantly written and emotionally immediate, the stories provide an intimate, honest assessment of human relationships between mothers and sons, sons and lovers, and husband and wives from a dazzlingly original, critically acclaimed writer.